The question of whether the prison has become an obsolete institution has become especially urgent in light of the fact that more than two million people (out of a world total of nine million) now inhabit U.S. prisons, jails, youth facilities, and immigrant detention centers. Are we willing to relegate ever larger numbers of people from racially oppressed communities to an isolated existence marked by authoritarian regimes, violence, disease, and technologies of seclusion that produce severe mental instability? (10). In part, we feature this book as it is connected to a number of important texts that comprise the “WR 39C: Argument and Research” curriculum, including CAUGHT: The Prison State and the Lockdown of American Politics by Marie Gottschalk and The New Jim Crow by Michelle Alexander. 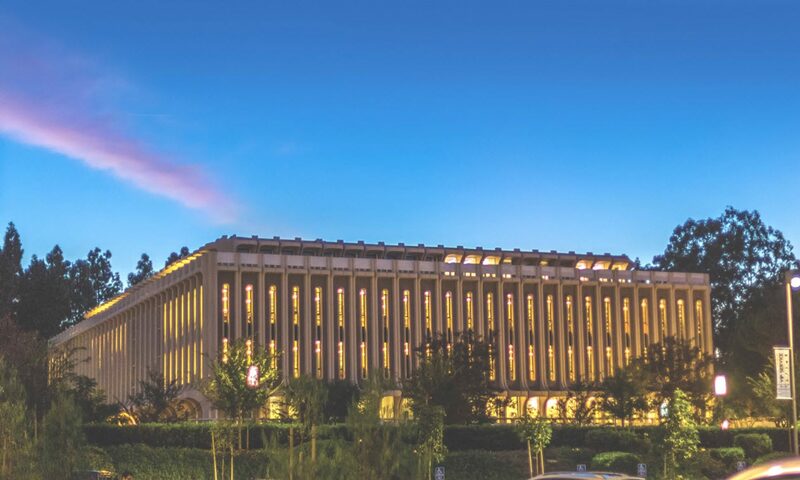 And for several years, the UCI Libraries‘ research librarians have provided information literacy instruction to students enrolled in WR 39C. 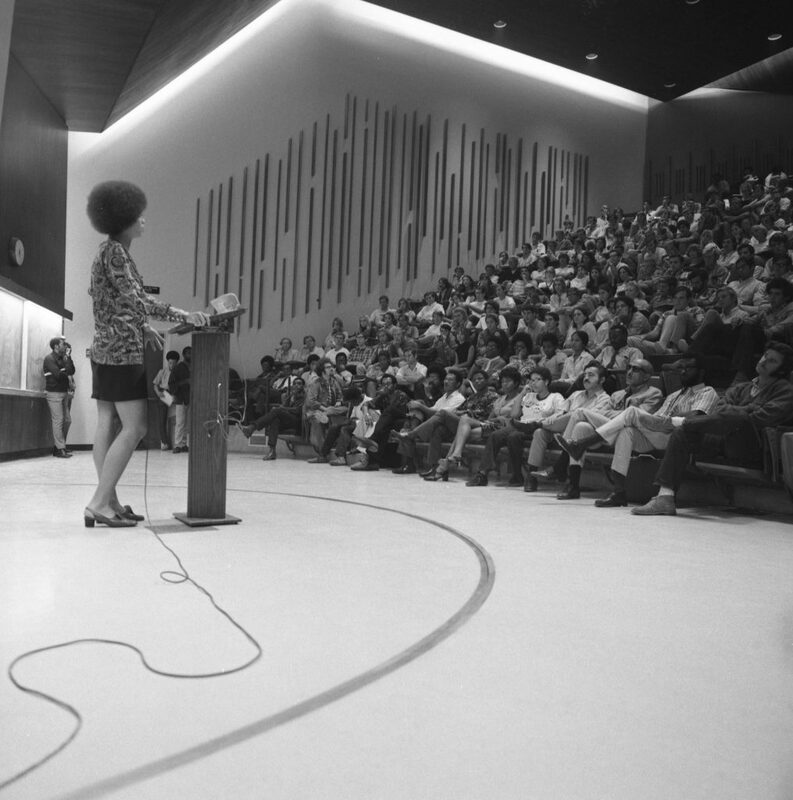 Furthermore, Angela Davis visited UCI in 1969 to lecture and meet with students. In 2003, she delivered the Wellek Library Lecture, an annual lecture series, named in honor of René Wellek (Yale University), whose library of works in critical theory is housed in Langson Library at the University of California, Irvine. Yet, we also feature this book because the issues stated in the above quotation from the text are incredibly relevant. For instance, recent political discourse in the United States suggests that many are willing to relegate people from racially oppressed communities to an isolated existence marked by authoritarian regimes, violence, disease, and technologies of seclusion. Therefore, Davis’ text, while making a case for the abolition of prisons, also calls readers to examine the conditions that make the will to confine necessary for a society’s existence. What kind of society is it, in other words, that would seem to predicate its existence on the confinement of others? the ideological work that the prison performs–it relieves us of the responsibility of seriously engaging with the problems of our society, especially those produced by racism and, increasingly, global capitalism (16). Davis, Angela Y. 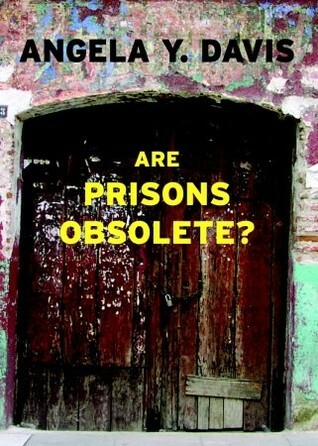 Are Prisons Obsolete? Seven Stories Press, 2003.